This poster was designed originally as a save the date card for my wedding. It was important for us to highlight our playful sides and finding the right design seemed like an impossible task. 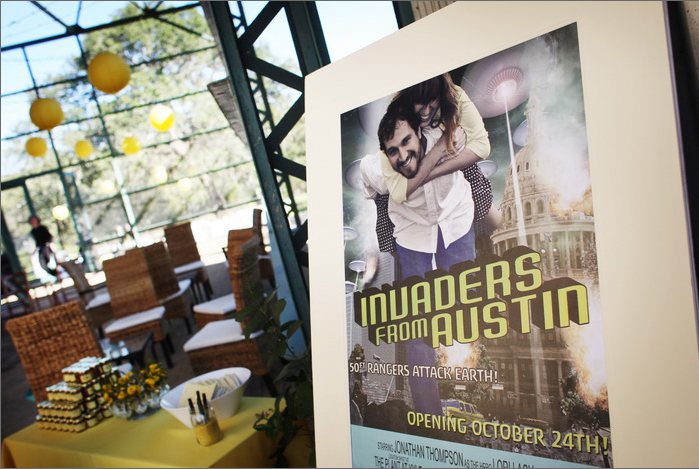 The inspiration came from a B-movie poster tutorial and we couldn’t have been happier with the way it turned out. So much so, I had it enlarged for our wedding so our guests could sign it and we could hang it in our house.